Professor John Forfar took part in the BBC programme 'Destination D-Day: The Raw Recruits', and wrote this account of his commando's D-Day experiences as Medical Officer for 47RM Commando. He went on to write an excellent book about 47RM Commando called 'From Omaha to the Scheldt. Lieutenant Ian Adam died  during operations against the German held small island of Kapelsche Veer which lies between the River Maas and the River Oudermaas . Richard Ainsworth was awarded the B.E.M. whilst an Acting T/ Corporal in 40 RM Commando, for gallantry in helping the wounded, in spite of his own injuries, when the ship in which he was serving was attacked from the air. The death of "Sgt. Richard Harry Ainsworth (40 & 47 RM Cdo) of Farlington, York", was announced in Commando Association newsletter 96 issued March 1993. London Gazettes Supp 36259, page 5141. Hans Arenstein served under an alias of Harry Andrews. 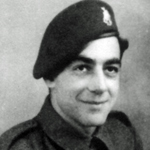 He was of the Jewish Faith and a member of 3 troop, also known as 'X' troop, of the inter allied commando. He was attached to 47RM Commando at the time of his death. nb. The date of death (10th) has been confirmed with the CWGC as being correct. The cause of death of Marine Victor Ashcroft is not known by this archive. At the time of his death his Commando were in Belgium preparing for the planned attack at Walcheren. Marine George Baxter died during operations at Normandy. Marine Horace Bedworth died during operations at Normandy on D Day. Sergeant Eric Bee died during operations at Normandy on D Day. Lieutenant Frederick Borne died during operations at Troarn, Normandy. Professor (Capt) John Forfar MC. 47RM Cdo. 'From Omaha to the Scheldt. 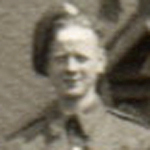 Sergeant Arthur Bradley died during operations at Normandy. On the 6th October 1942 it was announced that he had received a MiD, along with others, for "bravery, endurance and sustained devotion to duty in H.M. Ships Aurora, Avon Vale, Lance, Legion, Kingston, Penelope, and at Malta, during and after the passage of an important Convoy." London Gazettes Supp. 35733, page4353. Marine Ernest Beach was killed by enemy machine gun fire during operations at the inner harbour area of Port-en-Bessin, Normandy. Sergeant Reginald Brehme died during operations at Westkapelle. 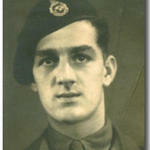 Gerry Brent ( birth name Gunter Harry Berendt) served in No 47RM and No 6 Cdo. Being of the Jewish faith and having escaped to Britain from his home in Berlin in 1938, he was sent to Canada at the outbreak of war classed as an enemy alien. However in 1941 he opted, when given the choice, to return to the UK where upon arrival he was subsequently reinterred, this time on the Isle of Wight. Corporal Cyril Bryce was awarded the MM for gallant and distinguished services in operations in North West Europe. The death of Cpl. C. K. Bryce MM of Tamworth, Staffs. was announced in Commando Association newsletter 109 issued September 1999. London Gazettes Supp. 36846, page 5809. National Archives file WO 373/47/32. Lance Corporal Joseph Buchanan died during operations at Walcheren. Read more about BUDGEN, W.J. 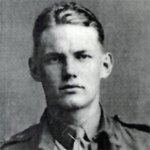 Marine Kenneth Bunyan died during operations at Normandy on D day. Marine Albert Cable died during operations at Normandy. The date of his death tallies with that of a Fighting Patrol (raid) from his Commando to breach the enemy line beyond La Grande Ferme du Buisson and take prisoners. It set out at 0330hrs and was led by Lieut. O'Brien and acompanied by Lieut. Collet with 14 volunteers. 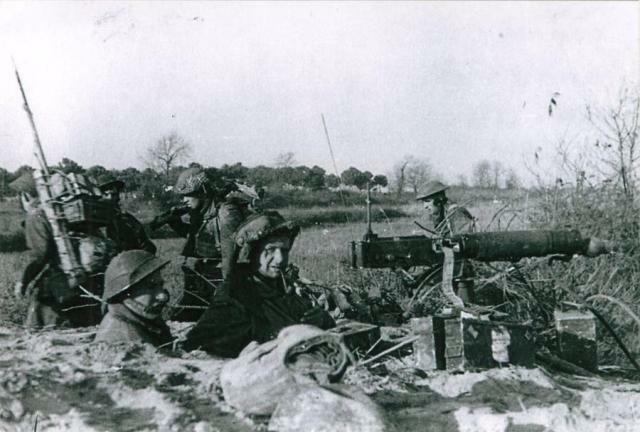 With the enemy alerted by the explosion of a mine a fire fight occurred resulting in casualties. Marine Arthur Carter died during operations at Normandy. Read more about CARTER, Arthur E.
Lance Corporal John Catts died during operations at Normandy. Lance Corporal Arthur Chatfield, R.A.M.C., attached to 47RM Commando, died during operations at Normandy. Marine Douglas Clark died during operations at Normandy. Marine James Collins died during operations at Normandy. Captain Terence Cousins died during operations at Normandy . He received a posthumous MiD for his gallantry and leadership whilst attacking an enemy bunker at Port-en-Bessin during which he was killed . There is a memorial at this location in his memory. Born in April 1922 Freddy Cousins entered the Corps in September 1940. On completion of training he was appointed to H.M.S Cumberland where he remained until 1943. He later joined the S.S. Group . Lance Corporal Edward David died during operations at Normandy. 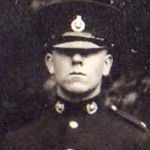 Marine Albert Davies died during operations at Walcheren. Marine William Davies died during operations at Normandy. He was part of a large fighting patrol of 4 troops and the heavy weapons troop sent against the enemy lines north east from La Grande Ferme commencing at 2115hrs on the 18th. It was hoped to be an in out raid to gather intelligence, capture prisoners, and weaken the enemies morale. Mne. 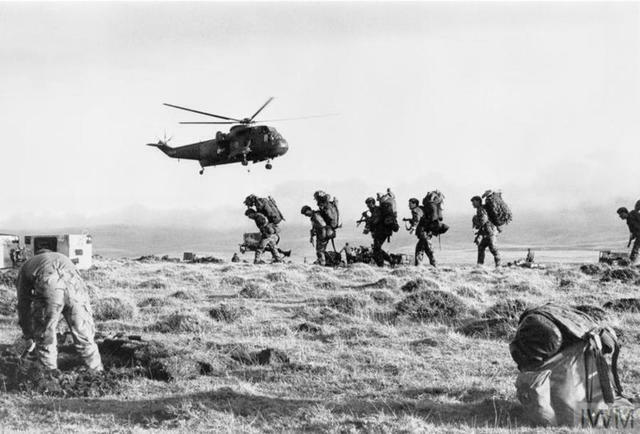 Davies was killed during this raid. Marine James Day died during operations at Walcheren. Marine Martin Derrick died during operations at Walcheren. Acting Lieutenant Colonel Patrick Donnell was awarded the DSO for gallant and distinguished services in North West Europe. Marine Andrew Duke died during operations at Walcheren. 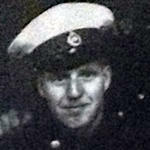 Marine Cyril Dutton died during operations at Normandy. Corporal Frederick Dyke died during operations in Holland. At the time of his death his Commando took part in an unsuccessful attack on the German held small island of Kapelsche Veer which lies between the River Maas and the River Oudermaas. Lance Sergeant William Ellis was awarded the MM for gallant and distinguished services while operating with the Army in Normandy. London Gazettes Supp. 36697, page 4218. National Archives file WO 373/47/24. Marine Roy Emsley, 'B' troop, was awarded the MM for gallant and distinguished services while operating with the Army in Normandy. Troop Sergeant Major James England was awarded the D.C.M.,  for gallantry, leadership and undaunted devotion to duty during the assault on the Island of Walcheren . In 1945 he also received a Mention in Despatches for outstanding service while operating with the Allied Armies in Italy . London Gazettes Supp. 36947, page 997. National Archives file WO 373/47/42. London Gazettes Supp. 36903, page 518. 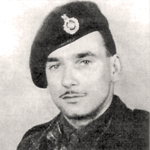 Sergeant Raymond Esther was awarded the M.M., for gallantry, determination and great devotion to duty during assault operations on Walcheren and Flushing on 1/2 November 1944. London Gazettes Supp. 37110, page 2852. National Archives file WO 373/47/65. 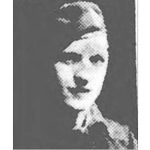 Marine Cyril Evans died during operations in North West Europe. At the time of his death his Commando took part in an unsuccessful attack on the German held small island of Kapelsche Veer which lies between the River Maas and the River Oudermaas. Corporal Edward Evans died during operations at Walcheren. Marine John Evans died during operations at Normandy. Major James Feacey died during operations at Normandy on D Day. Marine Denis Fee died during operations at Walcheren. Marine Peter Fellows died during operations at Normandy on D Day. Marine Charles Fewtrell died during operations at Normandy on D Day. Marine John Flaherty died during operations at Normandy on D Day. Marine Joe Flannagan, 'X' troop, from Gateshead, died during operations at Walcheren. [Image] Newcastle Evening Chronicle - Tuesday 06 February 1945 © Trinity Mirror. Image created courtesy of The British Library Board. Marine Arthur Fleet died during operations at Normandy. Sergeant Teddy Fletcher died during operations at Normandy. He was leading his section in attacking an enemy bunker at Port-en-Bessin when killed. Lance Corporal William Fletcher died during operations at Walcheren. Marine Derek Gadsden was awarded the MM for gallant and distinguished services while operating with the Army in Normandy. National Archives file WO 373/47/27. Lieut. Gardener was killed druring the period that his Commando were defending the main approach from North Holland to Antwerp by the River Maas near the damaged Keizersveer Bridge. Sergeant Donald Gardner was awarded the MM for gallant and distinguished services while operating with the Army in Normandy. National Archives file WO 373/47/25. Marine Michael Goude died during operations at Normandy. Lieutenant Erasmus Francis Gower was attached from the Royal Artillery to No.47RM Commando in 1944 . On the 11th July 1947 Lt. Gower relinquished his commission and was granted the honorary rank of Captain . Marine Samuel Greenhalgh died  during operations against the German held small island of Kapelsche Veer which lies between the River Maas and the River Oudermaas . Account by the Medical Officer Captain John Forfar M.C. Marine James Griffin was awarded the MM for gallant and distinguished services while operating with the Army in Normandy. Marine John Griffiths died in an accident. Lance Corporal Maurice Grimsdell died during operations at Walcheren. Marine Arthur Guymer died during operations in NW Europe. At the time of his death his Commando were holding a long section of the front line along the River Maas in the vicinity of Oosterhout. A major enemy offensive through the Ardennes took place this day and his Commando, along with 3 troops of 48RM Commando which had been attached to it, formed part of the defence of the port at Antwerp. Lieutenant Norman Hayward died of shrapnel wounds to his head inflicted when the LCT he was on board, LCT 18, was hit by a shell during the landings at Westkapelle. Professor (Capt) John Forfar MC. 47RM Cdo. Medical Officer author of 'From Omaha to the Scheldt. Sergeant Harry Horsfield was awarded the MM  for gallant and distinguished services during an early morning raid on the enemy FDLs East of Sallenelles, Normandy, on 23 July 1944 . Marine Ronald Hubbard died during operations at Walcheren. Sergeant Denis Hughes died during operations at Normandy on D Day. Corporal Alec Jenkins died during operations at Normandy. Lance Corporal John Jesney, RAMC attached to 47RM Commando, was awarded the MM in recognition of gallant and distinguished services in North West Europe. London Gazettes Supp. 36753, page 4791. National Archives file WO 373/49/479. Corporal Noel Jones died during operations at Normandy. Marine John Kemp died during operations at Normandy. At the time of his death his Commando were engaged in operations at Dozule. Lance Corporal Percy Kendrick, RAMC attached 47RM Commando, was awarded the MM in recognition of gallant and distinguished services during the assault on Port-en-Bessin on 7 June 1944. .
Marine William Kinloch died during operations at Normandy on D Day. Marine Frederick Lanyon was awarded the MM for gallantry, leadership and undaunted devotion to duty during the assault on the Island of Walcheren. The death of Mne. Frederick Woodman Lanyon MM of Bodmin, Cornwall, was notified to members in Commando Association newsletter 119 issued September 2004. London Gazettes Supp. 36947, page 998. Lance Corporal Edward Lawton died during operations at Westkapelle, Walcheren. It is likely that he died of wounds as there was a military hospital close to Oostende New Communal Cemetery where some of the wounded, had been taken. Corporal Harry Litherland was awarded the MM for gallant and distinguished services in North West Europe. Marine Alan Longden died during operations at Walcheren. Marine John Lumsden died during operations at Normandy on D Day. Marine William Macdonald was awarded the MM for gallant and distinguished services while operating with the Army in Normandy. National Archives file WO 373/47/29. Marine Norman Maud died  during operations at Sallenelles, Normandy . He was one of 23 casualties treated at the regimental aid post for shrapnel or bullet wounds during their first four days at Sallenelles. Mne. Tatton [more....] died of wounds, and Mne Maud who had been missing on patrol, was killed . Enlisted Royal Marines 1st April 1941. 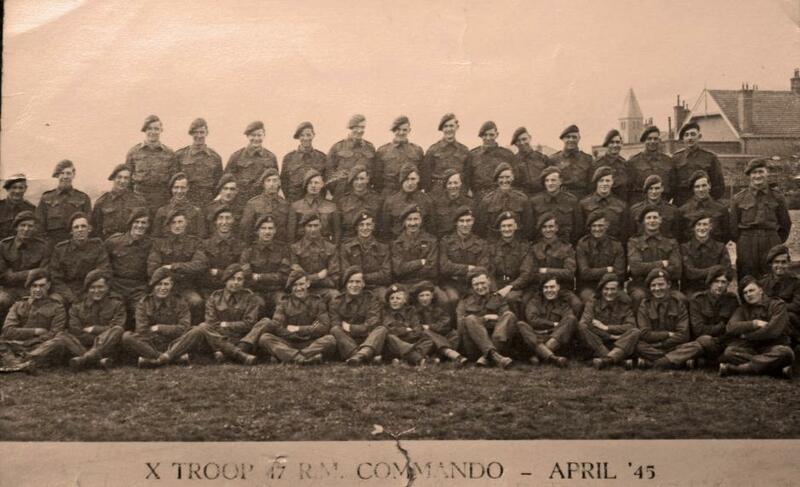 47RM Commando August 1943. Mentioned in Despatches for "outstanding devotion to duty". Discharged 'Class A Release' 17th March 1946. Marine Duncan McGregor died during operations at Walcheren. Kurt Meyer served under an alias of Peter Moody. He was of the Jewish Faith and a member of 3 troop, also known as 'X' troop, of the inter allied commando. He was killed during operations in Normandy whilst attached to 47RM Commando. Marine George Mills died during operations at Normandy. Colour Sergeant Colin Morley died during operations at Normandy. Whilst the Commando were heading along a country road in the direction of Putot-en-Auge they encountered an enemy patrol and C/Sgt. Morley was shot and killed. Marine James Muir died during operations at Westkapelle. Lance Corporal Francis Nicholl died during operations at Walcheren. Marine George Norie died during operations at Normandy on D Day. Marine Brian Oates died during operations at Normandy. Sergeant Mark Packer was awarded the MM for gallantry, leadership and undaunted devotion to duty during the assault on the Island of Walcheren. London Gazettes Supp. 36947, page 998 & Supp. 36992, page 1507 (errata). National Archives file WO 373/ 47/48. Marine Kenneth Patey was shot and killed by a sniper during operations at Walcheren. He died when his Commando were at Zwanenburg, clearing the enemy from the last of a series of gun batteries along the dunes at Westkapelle. Marine Harry Payne was killed during operations at Walcheren. He died during the period when his Commando were clearing the enemy from a series of gun batteries along the dunes at Westkapelle from Zouteland to west of Groot Valkenisse and Klein Valkenisse. Snipers and enemy mortar fire resulted in many casualties. Marine Robert Pettit died during operations at Walcheren.